STATESVILLE- Julia Harkey Long (Jeep), 82, passed away peacefully on October 6, 2017, surrounded by her daughters at the Gordon Hospice House in Statesville, NC. She was born on September 5, 1935, in Iredell County to the late Cress Harkey and Etta Mae Harkey Pennell. Julia attended Cool Springs High School and completed administrative secretarial studies at Mitchell Community College. 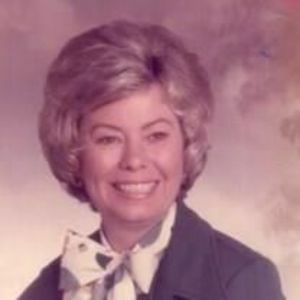 Her passion for office management fulfilled her career as an office manager/secretary at Mid-State Oil Company, Raymer Oil Company, and the Iredell County Sheriff's Office, Statesville, NC, and Newton Implement Company, Newton, NC. Julia was a member of Bethel Baptist Church. She enjoyed working in her yard planting flowers, fishing, gardening, and canning vegetables. She loved to crochet and was an avid seamstress, making clothes for herself and her children. Julia was a strong, determined woman as evidenced after an automobile accident that left her with a disability that changed her life at age 46. Her favorite saying was "Where there's a will, there's a way", and this was the positive attitude she always instilled in her children. In addition to her parents, Julia was preceded in death by her husband, Sammy Knox Long, a brother, Paul (Bud) Harkey, a sister, Betty Stroud, a nephew, Scott Harkey, a son-in-law, Phil Goodin, and a granddaughter, Kristy Carson. Left to cherish her memory are her daughters: Deborah Carson (Michael), Cindy Leagon (Bobby), Terrie Rouse (Ray), Brenda Goodin, and Linda Norberg. Also surviving are 11 grandchildren: Jamison Carson (Paige), Stephanie Faw (Jamie), Heather Hassler (Clay), Cameron Rouse, Sammie Goodin, Blake Goodin, Jacob Goodin, Makayla Norberg, Mason Norberg, Heather Harvey, and Chanda McCoy (Brian). Additionally she is survived by 13 great grandchildren: Chase Carson, Brody Carson, Hutch Carson, Lucas Faw, Autumn Hassler, Grant Hassler, Nathan McCoy, Braley McCoy, Summer Harvey, Liam Harvey, Aubrey Goodin, Serenity Starnes, and Saydee Starnes. Julia is also survived by a sister, Willa Ryan, and several nieces and nephews. The family will receive friends on Monday, October 9, 1:00 p.m., at Fairview Baptist Church, 349 Turnersburg Highway, Statesville, with the funeral service immediately thereafter at 3:00 p.m. Burial will follow at Iredell Memorial Gardens. Julia's grandsons will serve as pallbearers. In lieu of flowers, donations may be made to the charity of your choice. The family would like to express our heartfelt thanks to the staff of Brian Center and Hospice for their compassionate care. Bunch Johnson Funeral Home is serving the Long Family.